Have you ever used iTunes or iCloud to backup your iPhone 6s? If you did, then to restore iPhone 6s/6s Plus from iTunes backup or iCloud backup is very easy when you lost data, such as contacts, photos, text messages, call history, notes, and Safari bookmarks. 1. 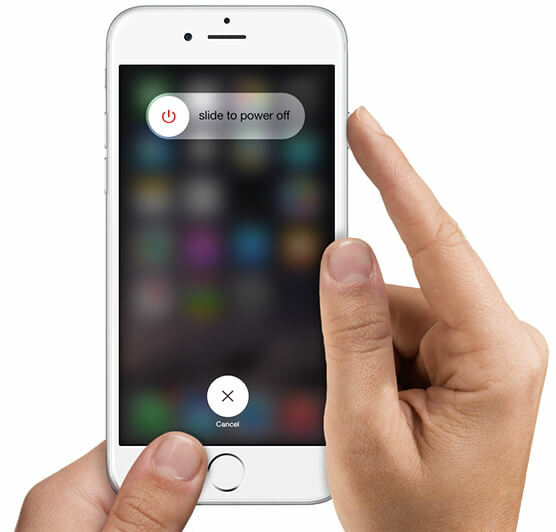 You accidentally deleted some important data on iPhone 6s/6s+ by pressing wrong buttons. 2. There is firmware corruption which causes data loss. 3. You tried iOS 10/9.3/9.2 or iOS 9/8.4 update and lost data. 4.	iPhone 6s or iPhone 6S Plus factory settings restore led to file loss. 5. Jailbreak failure and you lost all data on iPhone 6s. 6. There are bugs on iOS 9 and you lost data. Sometimes some inappropriate operations will also make you lose data on iPhone 6s. Therefore, backing up your iPhone 6s is necessary since you can recover iPhone 6S data from backup. There are many ways to backup iPhone 7/6s/6/6 Plus/5S. If you prefer to backup your device with iTunes or iCloud, do as follows. You can either sync your iPhone 6s with iTunes (which will generate a backup file automatically), or click your device button in the upper right corner to open the iOS device's Summary tab and click "Back Up Now". If you have used these methods to backup iPhone 6s with iTunes, you can restore iPhone 6s/6s Plus from iTunes . iCloud will automatically backup your iPhone 6s when iCloud Backup is enabled (to enable iCloud, navigate to Settings > iCloud > Backup & Storage on your device). Or you can manually backup by selecting Settings > iCloud > Storage & Backup > Back Up Now. After you backup iPhone 6s data with iCloud, you can restore iPhone 6s from iCloud if you lost data. Using iTunes to restore iPhone 6s from backup is very easy. You just need your iPhone 6S/6S Plus, a USB cable, and the computer with the iTunes you have used to back up your device. Connect your iPhone 6s/6s Plus to the computer with a USB cable. Run iTunes if it doesn't automatically open. When iPhone appears in the upper right corner of iTunes, click it and open the Summary tab. Click the "Restore Backup" button. Then the restore process will begin. Do not pull out iPhone until the process finishes. The only defect of this method is that it will delete all your new or current data and settings on your device. If you do have new data and settings on iPhone and care about data loss, you can use iPhone 6s Data Recovery, which is a professional data recovery program. It can help you selectively retrieve any deleted, lost iPhone 6s data by extracting iTunes backup file on Windows 10/8.1/8/7/XP/Vista. With 100% data recovery rate, this software will never cause data loss. You can have a try. Using iCloud to restore iPhone 6s data is a good choice if you have iCloud backup for the device. You can restore from iCloud when setting up your device as a new one, or after erasing all data from iPhone 6s using Settings > General > Reset > Erase All Content and Settings. 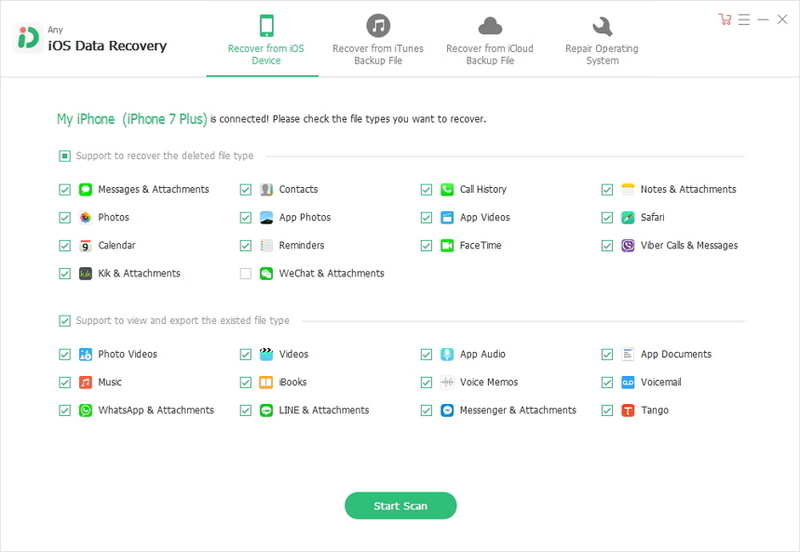 If you don't want to lose data and settings on your iPhone 6s, you can try the mode "Recover Data from iCloud Backup File" on iPhone Data Recovery to help restore files from iCloud. On your device, you will be prompted by Setup Assistant to restore iPhone 6s/6s+ data from iCloud backup. Make sure your iPhone is connected to Wi-Fi and plugged into the charger. Select the option "Restore from iCloud Backup"
Enter your iCloud account (Apple ID) and password. Select the recent backup you wish to restore to your iPhone. Enter your password when required. Many iOS users have written to tell us that they failed to restore iPhone 6s data from iCloud backups. The reasons may be that you have not enough storage on your iPhone 6s/6s Plus, or there is corruption. 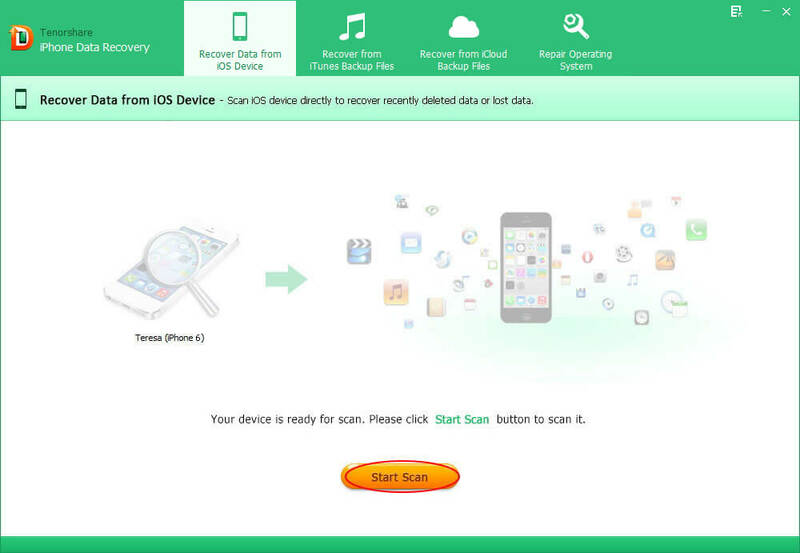 For any reasons, if you cannot restore iPhone 6S from iCloud backup, use the recovery mode "Recover Data from iOS Device" on iPhone 6 Data Recovery to directly recover all deleted or lost data from iPhone 6s without any backup files.